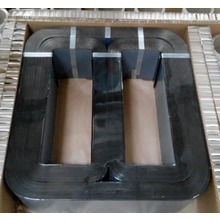 Amorphous core manufacturers talk about heat treatment of amorphous strip.Amorphous core manufacturers produce amorphous alloys that have the advantages of high magnetic induction intensity up to the maximum limit, small coercive force, low consumption and low quality, so they are widely used in power transformers with the effects of high efficiency, energy saving and environmental protection.However, at the beginning of 2009, almost all the amorphous strip materials used in amorphous alloy transformers in China's whole industry market were produced by toyo Hitachi metal enterprises. 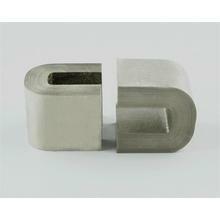 Peace of 2010, China's science and technology enterprises with independent intellectual property rights - amorphous alloy strip yield in production line construction, break through the amorphous doesn't rely on imports of raw materials, low sped up the electric power industry in our country so far of the amorphous alloy iron core sees fit and use the approximate rectangle lap type winding structure, forming the core of external stress is very big, the magnetic properties of the special was serious damage, make sure after heat treatment of annealing ability to diminish the stress. 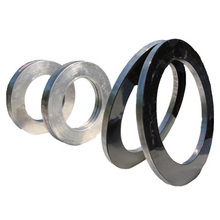 Amorphous core manufacturers' thermal treatment annealing process is the most critical and difficult process to control in the whole manufacturing process of amorphous core.The transverse shape of domestic amorphous alloy strip is curved, and its external stress is larger than that of imported strip. 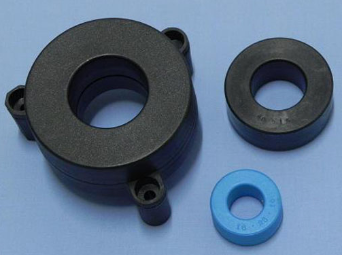 In addition, the composition is different, so the temperature sensitivity of thermal treatment is stronger. Because of this, the development of appropriate thermal treatment annealing process is crucial to the final iron temperament and quality of domestic amorphous alloy strip.